MOTHER COURAGE Bening gives the performance of a lifetime in Mills’ tribute to a parent who was very much her own person. Some irony is built into this rambling, immensely likable semiautobiographical film from writer-director Mike Mills (Beginners). If 20th Century Women had been released in 1979, the year in which it's set, the title would have been a proud declaration of with-it-ness, a cheeky assertion of the title characters' freedom to be who they wanted to be. Because the film was released in 2016, that title is instead a declaration of datedness — but an equally proud one. Mills captures a time and place in American history, puts it in context — looking backward and forward — and makes us feel, with incredible poignancy, what it's like to grow up and discover one's freedom and one's limits. To the extent that 20th Century Women has a plot, it's the coming-of-age story of Jamie (Lucas Jade Zumann), a 15-year-old in Santa Barbara on the cusp of the Reagan era. True to its title, though, the film is just as much — perhaps more — about the three generations of women who shape his world. There's his hardworking single mom, Dorothea (Annette Bening), whom Jamie describes as being "from the Depression." Twentysomething Abbie (Greta Gerwig), who rents a room in Dorothea's fixer-upper and is brashly self-conscious about her punk stylings and her feminism. And drifting, alienated Julie (Elle Fanning), Jamie's friend since childhood, who reels him in and then keeps him at arm's length. If this were a more traditional film, it would pivot around Jamie's unrequited longing for the elusive Julie. Instead, it's Dorothea who sets events in motion by asking Abbie and Julie to "help raise" her son. (She appears to deem her male tenant, the amiable William [Billy Crudup], too clueless to play surrogate dad.) As well-intentioned as it is mortifying to Jamie, his mom's plan leads to hilarious parallel scenes in which the two young women coach him on embodying their masculine ideals. Between their tutelage, his mother's World War II-era romanticism and his scholarly readings of feminist theory, it's no wonder the kid is confused. 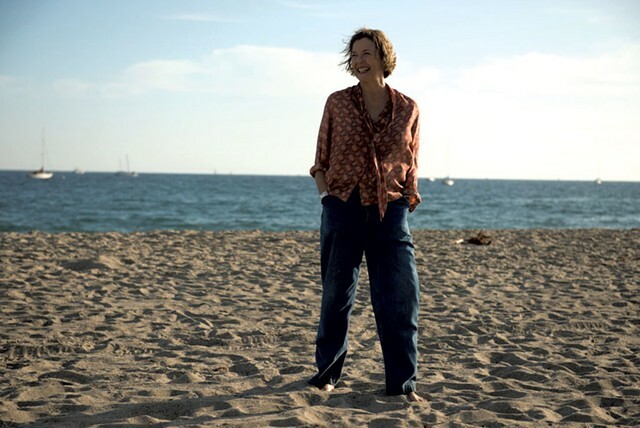 20th Century Women is essentially a hangout movie; viewers who enjoy the company of these well-drawn characters — all superlatively acted — won't mind that it meanders. Sometimes it feels like a sentimental journey, à la American Graffiti, but Mills periodically uses distancing devices to make us question our own nostalgia. Each of the major characters narrates pieces of his or her story in voice-over, accompanied by fleeting slide shows of the past and future. These interludes bring revelations both funny and heartwrenching. Bening's full-bodied performance won't soon be forgotten, and her character makes us feel a sense of wonder at the rapid pace of change in the last century. How can one mother-son pair sum up the distance from Humphrey Bogart to the Talking Heads, from bread lines to skateboards, from wartime unity to consumerist anomie? Sometimes Dorothea seems like a time traveler, and so does Mills, as he offers this wry elegy for a loved one and her era. Far from idealizing the past, he brings it to life with all its hope and dread — and offers a bracing reminder that we aren't the first to face a terrifyingly uncertain future. 20th Century Women is not showing in any theaters in the area.